Jason Molyneux who was shot dead at the James Larkin House on the North Strand in Dublin. GARDAÍ IN STORE Street investigating the murder of Jason Molyneux have renewed their appeal on the first anniversary of his death. 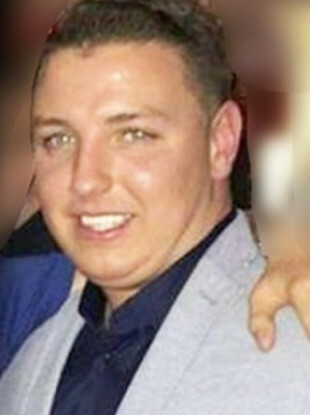 Molyneux (27) was shot dead on the night of Tuesday 30 January as he left a flat at James Larkin House on North Strand. Gardaí are aware a lone man fled the scene in a renault Kangoo Van, 10 D 126064 and drove along East Wall Road, and the Point Village crossing the East Link Bridge where the van was abandoned off York Road. Gardaí believe members of the public hold crucial details for this investigation and appealed to them to contact Gardaí at Store Street on 01 – 6668000, the Garda Confidential Line 1 800 666 111 or any Garda Station. Molyneux had been attending the wake of murdered Derek Coakley Hutch in nearby Buckingham Street and was due to carry the coffin at Hutch’s funeral. Both are thought to be victims of the Kinahan/Hutch feud. Email “Jason Molyneux murder: Gardaí appeal for information on the anniversary of his death”. Feedback on “Jason Molyneux murder: Gardaí appeal for information on the anniversary of his death”.